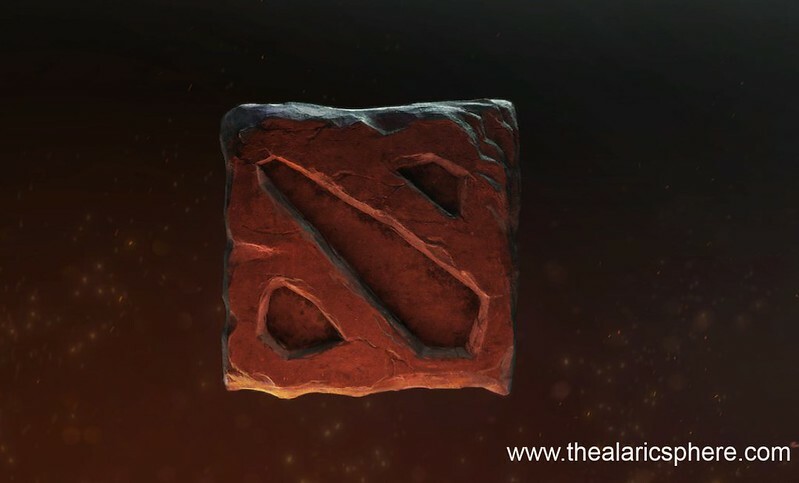 So the new Dota 2 patch 6.80 is out and I thought I’d talk about it a little. Patches come and go but it’s not every day that you see something as big as this. As more and more people play the game, the team is able to get more feedback and data to determine how to balance it. With over 100+ heroes in the game and increasing, this is not an easy task. So here goes the patch analysis. I think this is a good change. It forces people to pick heroes faster. It’s really annoying how your teammates will only decide to pick when the horn sounds (approx a minute after the pick timer ends) and you get a disadvantage since no one blocks the creeps, wards the jungles or contests the runes. This allows killing Roshan purely for the Aegis without giving too much of a gold swing to the team taking it. This also makes Roshan a bit more difficult to kill the longer the game goes on. This is a much needed nerf to Alchemist. This means that he can’t see or chase as far during night which also means that his unstable concoction will be much easier to avoid and hide from. Shortening the concoction fuse also means that there is less time for the team to prepare before the alchemist initiates. This makes Anti-mage more useful in the early game team fights. For solo ganking this doesn’t make any difference. The Base HP regen is a big factor. Imagine regenerating 60 more HP per minute. This makes Axe even more tankier than before. Which would probably mean that he could get his items earlier since he can buy less regen items. Finally! After that huge damage nerf from last patch, shortening his attack animation time kind of makes him a bit playable now. I’m not sure what this means. Will you now be able to summon unlimited creatures? This potentially makes Bloodseeker kind of attractive now. As long as teams will give him the last hit for heroes, then he could tank all damage and come back with full health. This makes Brewmaster even harder to kill with those annoying bears coming more often. I thought the last patch made Broodmother imba. This means that you can only climb the web once you’re invisible and not to escape battles. This also means that the web cannot be used as mini-wards anymore. Not really a big change. This just makes Centaur more annoying early game. People rarely are able to escape a good cog. So rescaling this from 3 to 2 shouldn’t be a huge difference. This gives people a reason to level up cogs early on though. More ion shells being cast. Now pushing waves early game will be faster. This also gives him more annoying power. This makes ally heroes tankier and enemy heroes lose more armor especially of the team fights turn to chase. Not a huge change. DP can be a more effective disabler now. For people who spam this ability, it now takes longer. DK can now only use this once in a team fight early on. I don’t see much change since DK never has enough mana to cast this twice. Drow’s silence now pushes people out to the edge of the AOE. It does not interrupt spells though. Now your ulti can be more useful by pushing enemies away from you. A bunch of nerfs. This is expected as the ES was too overpowered. This sort of balances out people being able to spam the stones. ES is now a bit more tanky and hits for more as he levels up. The faster move speed also enables him to position to make initiations easier. This is a huge buff. Not only does it make Enigma a bit safer to cast, the AoE is now bigger. This makes FV an even harder carry than before with the cd reduced. It also takes less time for him to move from target to target within the chronosphere. Another buff for Huskar. A huge one. It’s now even more important to kill him with burst damage since he’s even harder to kill. Nerfed the spirits finally. It was getting too easy to free farm multiple creep camps with just the spirits. Dual breath must now be avoided at any cost. It’s now 76 DPS at max level (from today’s 20??!). We could see Jakiro in more high level play. This gives KotL a more effective disabler… or at least to keep the target stationary. This nerf was sooo needed. It was almost unfair when LC gets extra procs per hit. Ok. Less damage but lower mana and cooldown. I’ll take that. It’s harder to miss now w/ Lina. She also stays faster, longer. I don’t know what this means. Does this mean that everyone w/in the 200 AoE will get hit with the same damage? in that case, we’ll be seeing more Lion/DS or Lion/Magnus combos. Ok fine. So now the bear can use other Orb effect items. Wow. Finally a Lycan buff. He has fallen off the hero usage chart since they nerfed him back then. Now spirit wolves will be tougher with the 15 HP regen. Not sure if that’s 15 per second or what. Slightly harder to kill. But still not that relevant. This makes killing people that much faster. You can probably adaptive strike them TO your waveform. Minor nerf. not really significant. It’s easier to chase down enemies now. Even if they juke within trees, you’ll still be able to hit them. It used to be that your spikes hit farther from its cast range. Now that his spikes are non-hero targeted, this makes sense. I'll stop here for now. Continuation tomorrow.